End 2013, I wanted to send a newsletter to wish all my contacts a wonderful time and couldn't, because I hadn't asked people to subscribe to it. 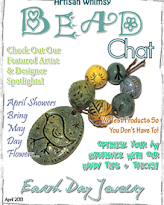 I created a newsletter with mailchimp and have subscribers. I feel so happy that there are people in the world who want to have news from me. Thank you for making me feel special. I am happy with the sales in my Etsy Shop this year - nearly 900 sales in total! This is wonderful! You have no idea how much happiness this brought to me and my husband. For example, it allowed me to offer him a big aquarium for his birthday. A dream come true! And now I also have very sweet little birds. I am so grateful for your continuous support! Thank youuuuu! 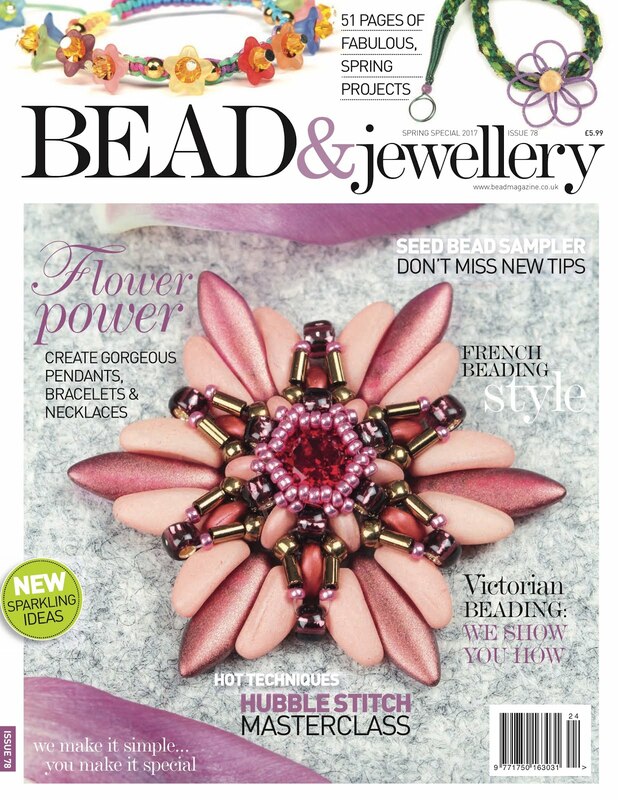 Contemporary Geometric Beadwork Vol II has been published in October and it is fabulous. I'm honored that Kate McKinnon, who masters the art of writing with such precision and beauty, wanted me on board of the edit team again and am proud of my contribution to this amazing book. I am very grateful for the experience too. Earlier in 2014, I announced that I would perhaps work on 3 projects. 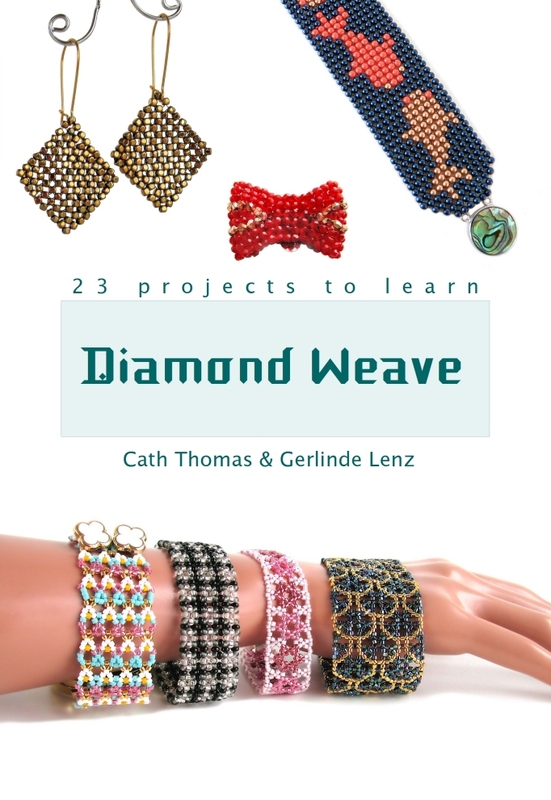 One hasn't started, one is paused - I will continue on it when time allows, and one is well on its way - the draft of nearly 2/3 of the book about Diamond Weave is ready. I celebrate this because it is a long, slow process, difficult and even if the last third is a big job, and will take a lot of time to finish. 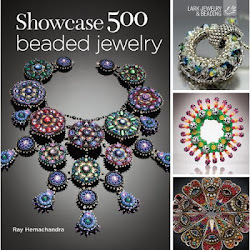 It is difficult to not show my beadwork. I work hard, but it strangely feels like not being very productive. 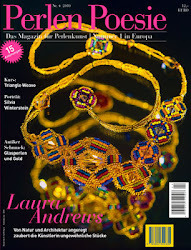 So I wanted to share this picture of a Diamond Weave necklace called Colombina (click on the image to see a larger picture). This year, I also created a group on Facebook called 'Tutorial Tuesday', which purpose is to share designs of other designers with the public and make their day. Many seem to play the game. I hope that it will continue in 2015 and that the many people who joined the group will participate even more. 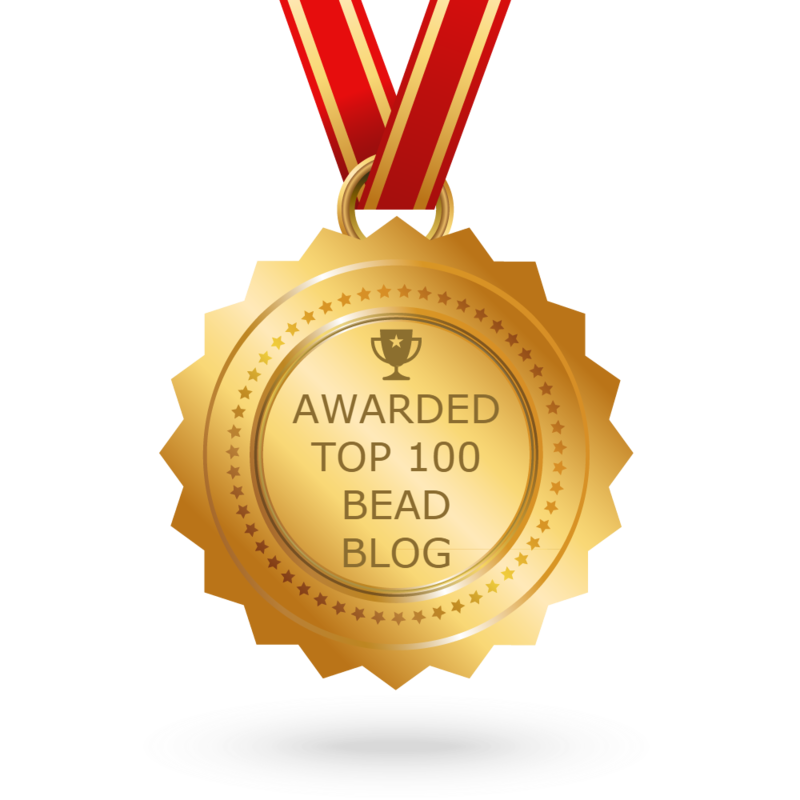 We all need kindness, also on Planet Bead. 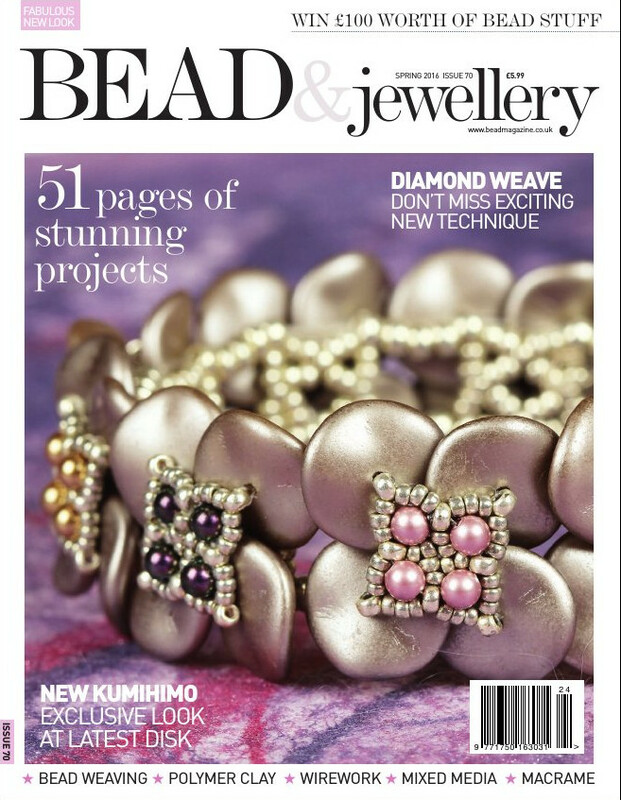 'T is the time of year to offer yourself (or the beader in your life) a treat! 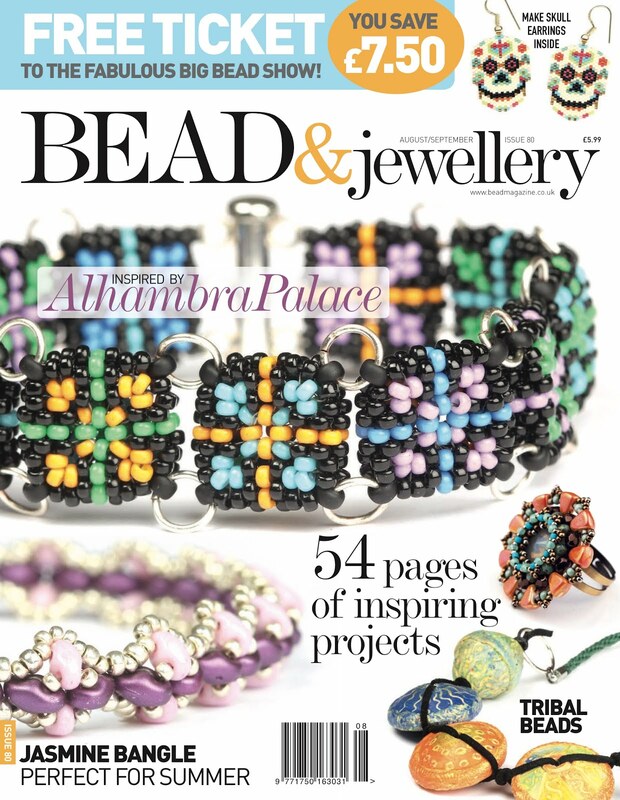 Contemporary Geometric Beadwork I and II are available from Kate or on Amazon. 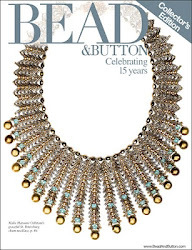 On Kate's website it is also available gift-wrapped with lovely tubes of beads. My Ishtar pattern and KITS are still available from diMarcaOnline.com, in three colors, an awesome reddish-topaz, a black and silver and a marvellous metallic green. 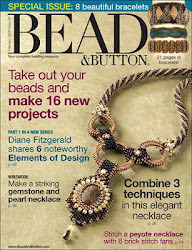 One of the test-beaders said to me that it was CGB on its own. This is not really true, because CGB is soooo much more than Ishtar, but Ishtar is indeed using plenty of elements from volume no. 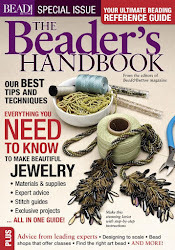 1 - an MRAW start, horns and a helix skirt, plus a partial Elegant guide round (from volume no. 2). 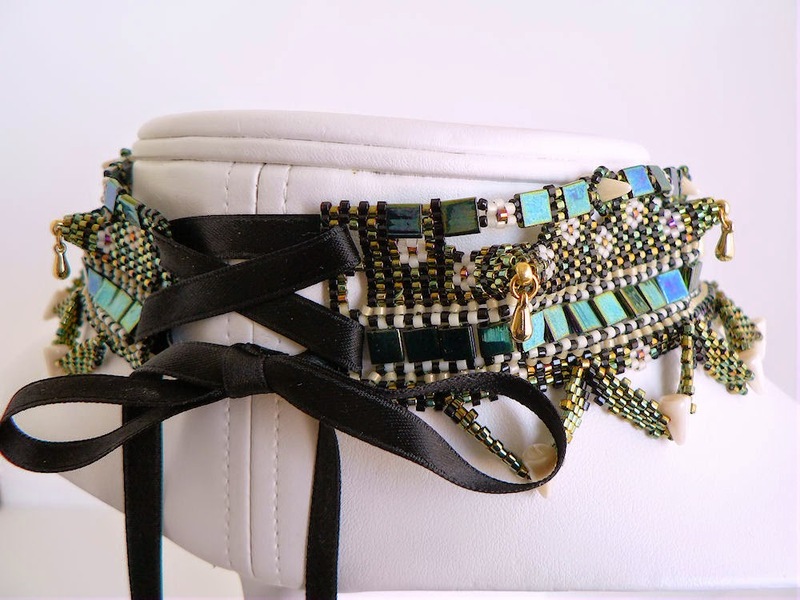 It think that the most elaborated part, however, is the open work at the top, which is something I love. 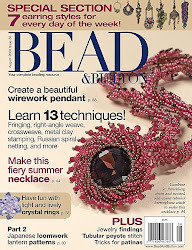 For advanced beaders. And because It's the time of year, you can also download the pattern in my Etsy or Craftsy shop and have another one sent to a friend, or choose another one for yourself. See the special X-Mas discount at the end of this article. 'T is the time of year to offer a present to those who count, which you do. 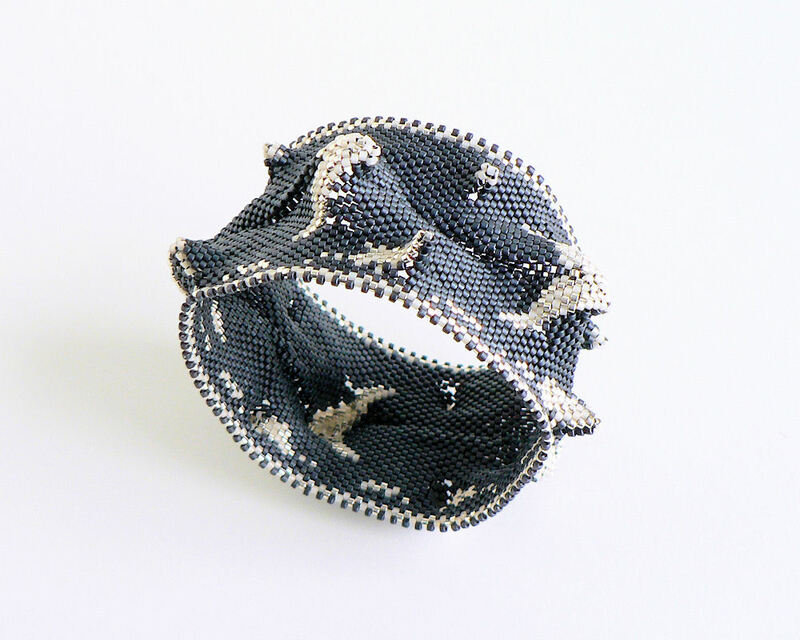 For the CGB Pattern Library, I am offering a pattern for free, and it is the Kanagawa Wave Bangle. 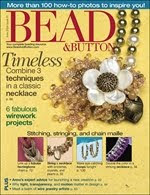 3 test-beaders gracefully helped me to make this pattern better than good, just in time for the season! 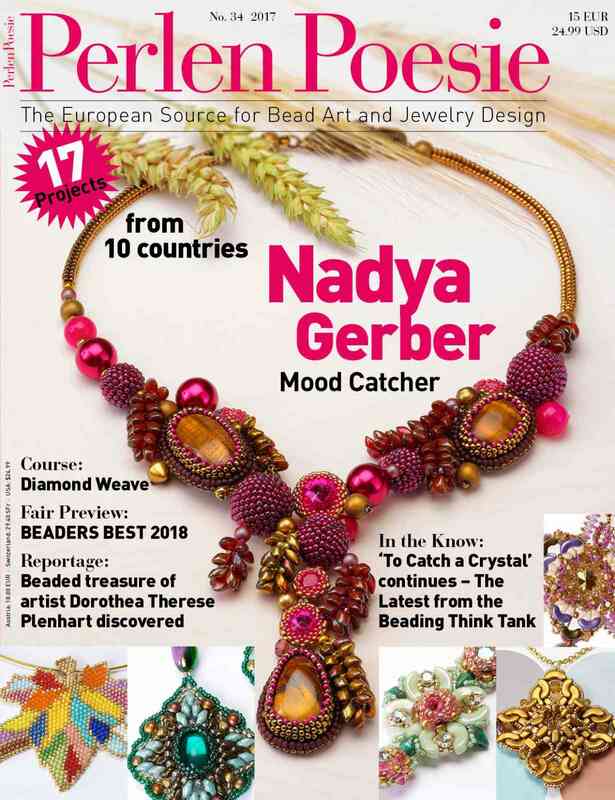 You can download it for free from my Craftsy shop - where you can also still find the free pattern for Ayatee, another bracelet. 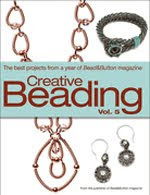 I hope that you will enjoy beading it - maybe during the holidays? Last but not least, you can profit from a special 2 for 1 sale in my Etsy Shop, which will remain valid until 31 December 2014. 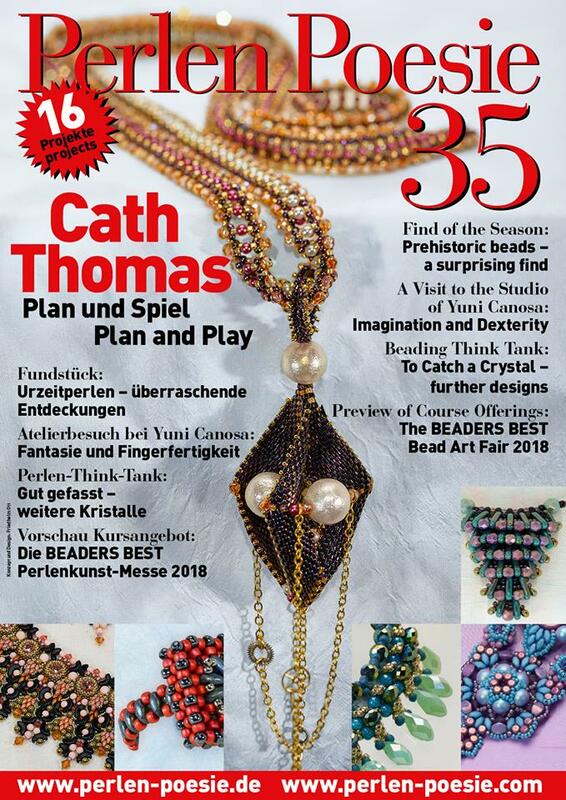 To get your free pattern - of the same value as the pattern you purchase, you need to mention in your comments which one you would like to receive and I will send it to you by e-mail. You may also convo me to offer the same pattern as you purchase to a friend. 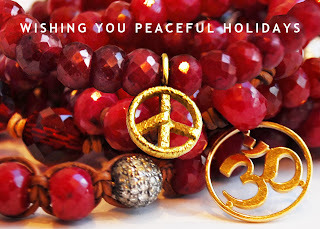 I wish you and your beloved ones a very peaceful, joyful time of year. PS: if you too would like to receive news from me from time to time, you can sign up in the little form on the left of this page, just below my profile.